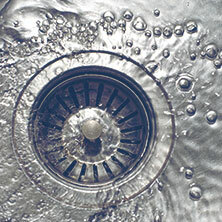 Dash Drains is the drain cleaning company Medford residents call on when they need speedy plumbing services. 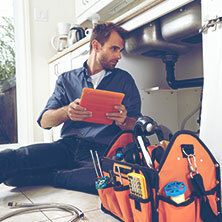 Whether you need us for a preventative plumbing tuneup or have a specific task you want us to accomplish, we have the knowledge, experience, and equipment to handle it. Drain Cleaning: We offer state-of-the-art draining cleaning services using both drain snakes and high-pressure water jets depending on the job at hand. Both of these methods can clear out stubborn clogs with ease and precision. Our hydrojetting services are especially effective at blasting away sludge and build-up that cause pipes to drain slowly, putting your plumbing back in working order. 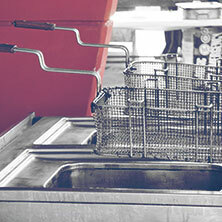 Restaurant Grease Trap Cleaning Services: Restaurants and cafeterias need regular grease trap cleaning that they can count on. Otherwise, they run the risk of a gnarly backup that can shut down their eating establishment. Our crew specializes in grease trap cleaning that goes the extra mile, scraping off all of that built up gunk that the other guys left behind. Emergency Plumber Service: When you’re having a plumbing emergency, you want to call the plumber that can get there quickly and who knows what to do when they get there. Dash Drains offers just that. With 24/7 availability for emergencies and a lifetime of experience, we can handle just about any plumbing emergency you’re experiencing. Other Services: We also offer general plumbing services and maintenance, underground pipe location, drain camera inspections, plumbing odor detection, septic tank inspections, and water heater drainings. Call Your Medford Plumbers Today! We are based out of Beverly, but are happy to bring our plumbing services to Medford and the surrounding areas, including parts of southern New Hampshire. 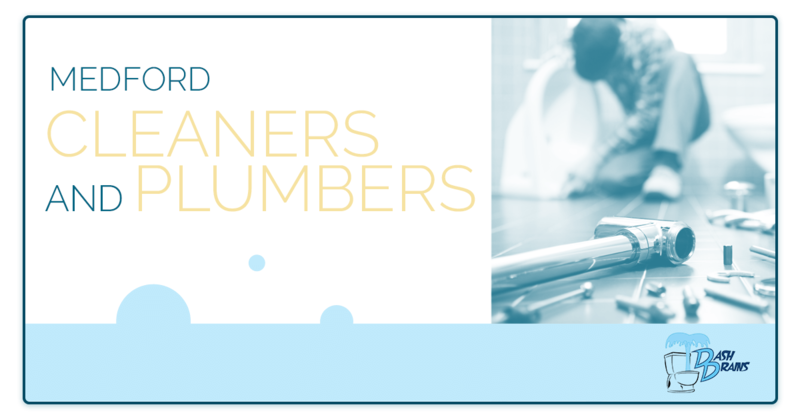 If you are in need of plumbing or drain cleaning in Medford, we are the experts to call. Get in touch today to schedule a maintenance call or inquire about our other services! Not in Medford? See our other service areas! With 23 years of experience, we’ve seen almost everything. Our business has remained in the family for generations, and is amply named for our family dog, our team is committed to finding quick solutions for all drainage problems. We proudly serve commercial business, from restaurants to our local college. Our experts have the knowledge and training to solve your drain problems with minimal disruption to business workers and customers. We are committed to your complete satisfaction. We are proud to offer our expertise to both commercial and residential customers. Please click here to read what our clients have to say about our service! 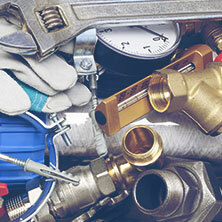 We are available to help you day or night with your plumbing emergencies. Call our 24-hour line if you need immediate assistance. ©2019 Dash Drains LLC - All rights reserved.